Saratoga Springs is best-known for its thoroughbred horse racing track; the oldest in the country. But what if you find yourself in this small upstate New York City outside of racing season? Well, we think you'll be in for a treat: the crowds will be gone, the prices will be lower, and all of Saratoga Springs' lesser-known attractions will all still be available. Before the thoroughbreds arrived in town, Saratoga Springs drew visitors who wanted to reap the benefits of the town's naturally carbonated spring waters. "Taking the waters" is still believed to have a number of healing benefits: stress reduction and an increased red cell blood count, to name just two. You can pick up a brochure that maps out each of the springs' locations and healing properties from the Saratoga Springs Visitors Center (or print it out from here). Trent Millet, who calls himself the Saratoga Water Witch, offers independent tours of the eight springs located in the 2,300-acre Spa State Natural Park. The tour leaves from the Roosevelt Spa, a WPA-era bathhouse in the park, on Saturdays at 10 a.m., 1 p.m. and 4 p.m. and on Sundays at 10 a.m, 1 p.m. and 4 p.m. The tour is donation based, meaning you give what you can. There's usually a $6 vehicle entrance fee for the state park but, if you say you're coming in to collect water, the fee is often waived. Designated a National Historic Landmark just this year, Yaddo is an artists' community offering residences in a variety of disciplines including literature, music composition, and film - 66 Pulitzer Prizes have been won by artists that have worked at Yaddo. 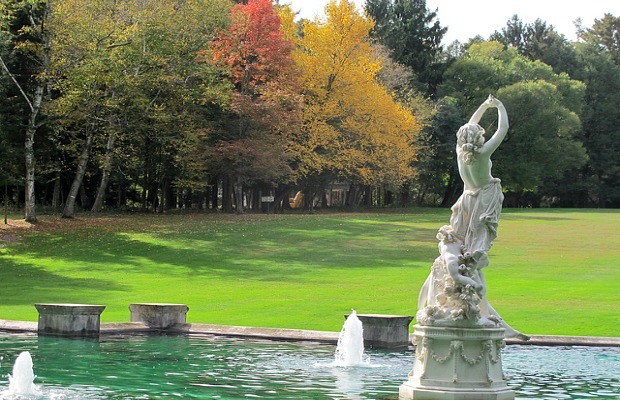 While mansions and artists' residences are closed to the public, you are welcome to roam the landscaped grounds, which are modeled after classical Italian gardens (free admission). Guided tours of the grounds are offered every Saturday at 1 p.m. The National Museum of Dance, the only dance museum in the United States, is located in the former Washington Bathhouse, in the Saratoga Spa State Park (entrance $6.50). The museum's extensive archives document the history of dance, and the museum also hosts rotating exhibits and events. The museum has also created an open-air art project on the streets of the city. 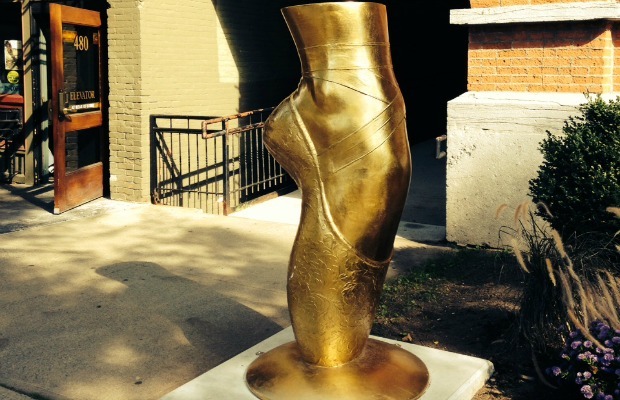 The museum selected artists from the area and gave them a five foot tall fiberglass pointe shoe to decorate. You can see the shoes all over the streets of Saratoga Springs. 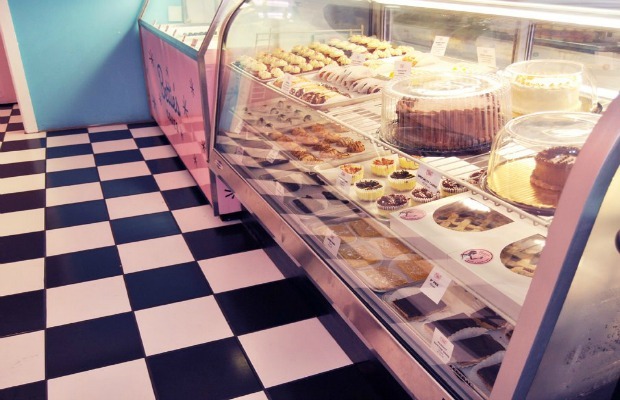 Located on Broadway in downtown Saratoga Springs, Bettie's Cakes is housed a retro-themed diner decorated in cheerful colors. The bakery sells homemade cupcakes in unusual flavors such as blueberry pancake, as well as cannoli and ice cream($1.50 - $3.50). Look out for their mobile cafe, set in a vintage London double-decker bus. 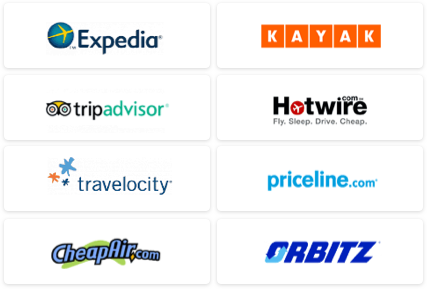 One of the biggest perks of visiting outside of race season is that you'll find hotel rooms are cheaper - and more available. 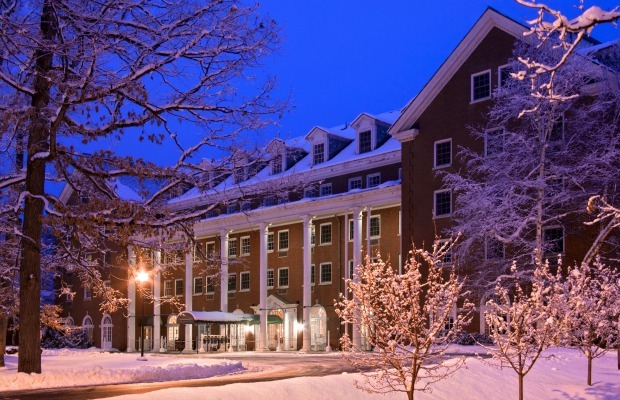 Situated within the State Park, the Gideon Putnam Resort was built in 1935, as part of the WPA program, and has continually operated as a hotel since then. The Roosevelt Baths & Spa is part of the Gideon Putnam Resort and has 43 treatment rooms with deep porcelain tubs. Taking a bath in one of those tubs filled with healing but murky brown colored mineral water is a must-do in Saratoga Springs. The water is piped directly from a spring beneath the building, which oxidizes and turns brown when it mixes with the air. The mineral water is then combined with hot water to bring the temperature to 97 degrees, which keeps carbonation at its peak ($30 for 40 minutes). Access to the spa's steam room and relaxation room is free for hotel guests. During race season rates of the Gideon Putnam start at over $300, but right now late October weekend rates are going for as low as $190. 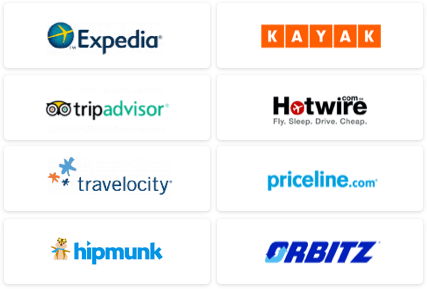 If you're willing to brave the snow in January, that rate goes as low as $120 for advance bookings.